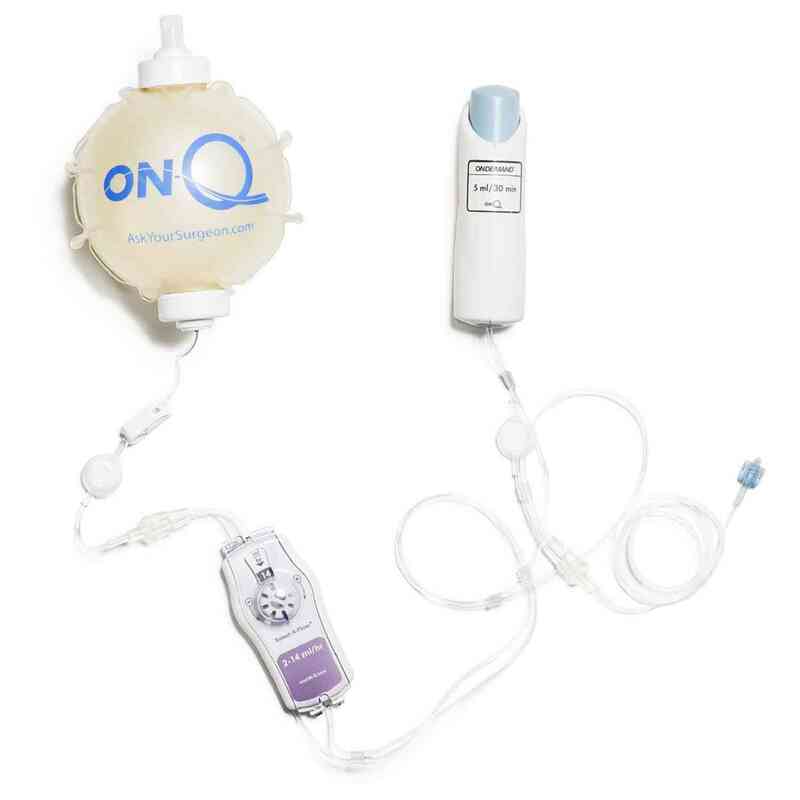 The ON-Q* Select-A-Flow* and ONDEMAND* pump provides post-operative pain relief for up to 5 days, while reducing patients’ opioid consumption post-operatively. It offers customizable control with titratability and ability to turn analgesia on and off. This also comes with a bolus device to allow an additional dose of analgesia for breakthrough pain relief. The ON-Q* Pump with Select-A-Flow* and ONDEMAND is a non-narcotic elastomeric pump that automatically and continuously delivers a regulated flow of local anesthetic to a patient’s surgical site or in close proximity to nerves. It provides post-operative pain relief for up to 5 days, while reducing patients’ opioid consumption post-operatively. This pump offers customizable control with titratability and the ability to turn analgesia on and off. This also comes with a bolus device to allow an additional dose of analgesia every 30 or 60 minutes. GMA – Pallet 48.000"x 40.000"x 42.500"
SGM – Pallet 48.000"x 40.000"x 25.500"
TL – Pallet 48.000"x 40.000"x 102.000"
GMA – Floor 48.000"x 40.000"x 51.000"
SGM – Floor 48.000"x 40.000"x 34.000"
TL – Floor 48.000"x 40.000"x 102.000"